This Saturday, June 13th is a HUGE day for Edmonton's 104th Street! The Downtown Edmonton Community League has organized an everyone-welcome block party, called Al Fresco, that will keep 104th St.,between Jasper Ave and 102Ave closed until midnight! The party kicks off with a FREE pancake breakfast infront of Sobey's from 9-11am. The City Market will of course be on from 9am to 3pm. Edmonton's Pride Week Parade starts at 2pm and will pass the market on the way to Sir Winston Churchill Square. 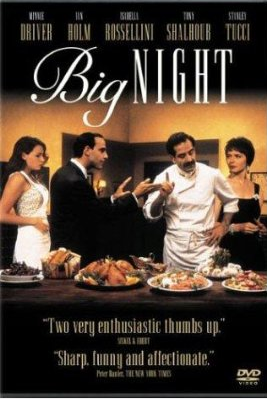 At 10pm, on a two-and-a-half storey outdoor movie screen, there'll be a showing of "Big Night" with Stanley Tucci and Minnie Driver. The movie begins at 10pm and is FREE of charge to the public (just please bring your own chair). All proceeds are in support of the Alberta Council of Women's Shelter. There will also be some late night shopping as some of the vendors from the farmer's market have been invited to remain open all night! I will be there with my hats and I am happy to donate $5 from every hat sold during the event to the ACWS. “Open door” wine tasting of up to 50 wines at deVine Wines. 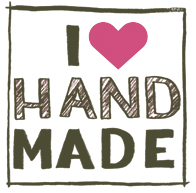 $15 entry fee, come and go from 3 p.m. to 10 p.m. 100% of proceeds to the Alberta Council of Women’s Shelter (ACWS). Outdoor fashion show by C’est Sera, Blunt Salon, and Eyecare Group beginning at 5:30 p.m. DJ music provided by C’est Sera for the balance of the evening. In-store cash bar at 29 Armstrong Design Studio featuring a selection of Port and Single Malt Whiskey from 3 p.m. until midnight. Proceeds to the ACWS. Portuguese style charcoal barbecue run by Annabelle Evaristo of deVine Wines from 5 p.m. 100% of proceeds to the ACWS. Skate-board and Long-board demonstration by Pipeline Surf Shop beginning at 5 p.m.
Two licensed outdoor patios for up to 100 people each: One by Tzin Wine and Tapas (with an ideal view of the movie) and the other an “Eat Local First” patio by Blue Plate Diner featuring local organic produce and craft-brewed beer. Proceeds from both to the ACWS. Free Popcorn and Pop for the movie provided by Sobey’s Urban Fresh. Have a great week and see you on Saturday!